Kraig Chiles scored the game-winning power-play goal with 3:16 to play and Landon Donovan added a fourth-quarter goal as the San Diego Sockers rallied from a 4-0 road deficit to post an 8-7 win over the Tacoma Stars on Sunday night at ShoWare Center in Kent, Washington. The Sockers (20-1) set a PASL/MASL franchise record with their 20th regular season win, while running their winning streak to eighteen in a row. Trailing 4-0 after twenty minutes, the Sockers rallied with four goals to finish the second quarter, including three in the final 80 seconds of the half. Leonardo De Oliveira scored twice in the third quarter, including a spectacular scoop over Tacoma keeper Danny Waltman, to cap a six-goal run for San Diego. The Stars (10-11) rallied with three fourth-quarter goals, but the Sockers countered with free-kick and power-play goals to hang on for the win. Brandon Escoto paced the Sockers in scoring with a goal and three assists, while Leo and Chiles each contributed two goals with an assist. Luis “Pee Wee” Ortega and Brian Farber added scores for San Diego. Donovan’s goal came on a top-of-arc free kick, firing home a left-wing rebound of Escoto’s shot. 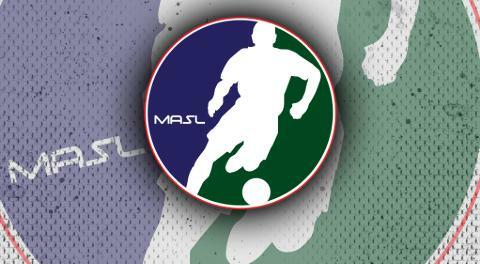 Battling for playoff position with the Ontario Fury (11-11) in the MASL Pacific Division, the Stars came out with a physical approach and a fierce determination, blocking four shots in the opening quarter. While hard fouls and challenges were drawing cries of opposition from the Sockers, the Stars were converting counter-attacks into early goals. Philip Lund’s mid-arc finish of a Nick Perera wall pass at 4:44 gave Tacoma the game’s first goal and a 1-0 lead. Vince McCluskey and Perera found the back of the net before the first quarter was over, and Rafael Cox’s cheeky back-heel power-play goal 4:10 into the second frame built out a 4-0 Stars advantage, and led to a timeout from head coach Phil Salvagio. San Diego’s first answer came from their captain, as Chiles captured a perfect through ball on the rIght flank from Christian Gutierrez and beat Waltman with the inside of his right foot, narrowing the lead to 4-1 at 6:24. An individual effort swung the game at 13:40 of the second quarter, as Ortega stole a ball from possession in the defensive zone by poking out from between the legs of the attacker, springing his own run up the left wall. “Pee Wee” rushed three lines across the floor before unloading a rocket into the top of the net for a 4-2 score. Consistent high pressure was utilized to wear down the Stars, and the Sockers were ready to pounce when fatigue set in. Seeing counter-attack running lanes open up, Escoto was ready to finish Leo’s bid from the left wing with a clever flick into the net at 13:56, just sixteen seconds after the Ortega goal. The Sockers were not done, as a long ball forward was sent by Ze Roberto off Farber’s chest and the crossbar. Farber was first off the floor to head home the goal with just six seconds on the clock, drawing San Diego level at 4-4. The third quarter was all about Leo, who first lifted a pass from Escoto in order to fire a wicked half volley strike across the face of goal and in for a 5-4 lead at 3:06. On his next shift, De Oliveira put his entire toolkit on display. A powerful run up the middle of the field led to a win of the ball away from a Stars defender, and a hard push forward angling to the left created a 1v1 opportunity with Waltman. A sole roll of the right foot brought Waltman to his knees, at which point Leo scooped the ball softly over his head and into the net, dancing in celebration with Farber as the Sockers celebrated a 6-4 lead at 5:32 of the third. The Stars would answer three times in the fourth quarter in pursuit of victory, with Mike Ramos scoring from the left and right wing, and Nick Perera adding a sixth attacker goal with a technical run through traffic across the attacking zone. Those goals were blunted by San Diego’s ability to convert their only set piece and power play opportunities of the match. A defensive clearance by Tacoma in the 52nd minute gave the Sockers a top-of-arc free kick. Chiles hesitated twice before serving a pass to Escoto on the right angle. Brandon’s shot/pass squirted through traffic to Donovan, who cleanly fired home his fifth goal of the season at 6:10 for a 7-5 lead. After Ramos’ second of the night made it 7-6, Escoto was tripped from behind to draw the only blue card of the match against the Stars. The Sockers possessed away a minute off the clock, wearing down the Tacoma penalty kill before the crucial conversion. Again, it was Escoto on the right side, this time serving a pass through the box that Leo used a box-out dummy to let through. Chiles was waiting on the low left angle and made no mistake for his 28th goal of the year, tied with Escoto for the team lead. Perera’s goal at 14:12 concluded the scoring. San Diego improved to 11-0 on the road while concluding a 4-1 season series with the Stars, winning the final four, including all three in Tacoma. The Sockers will wrap up their four-match road trip on Thursday in Ontario, before returning home on Sunday, April 7 to host the Rio Grande Valley Barracudas.